How has your day been so far? Today's post is going to be a tutorial on this super glam eyeshadow look! 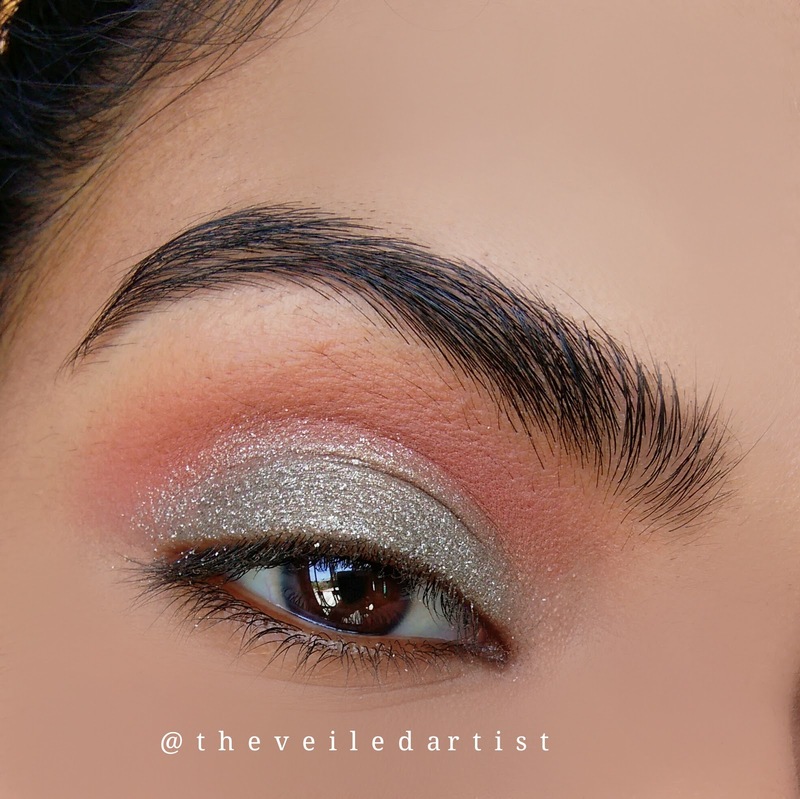 I was trying out the Loreal Infallible eyeshadow in gilded envy for this look and I have quite a few thoughts! Definitely expect a review of it coming up on my blog. Also, I finally got my hands on a pair of the much hyped hudabeauty lashes as well, thanks to my sweet cousin who gifted them to me! So let's get started! 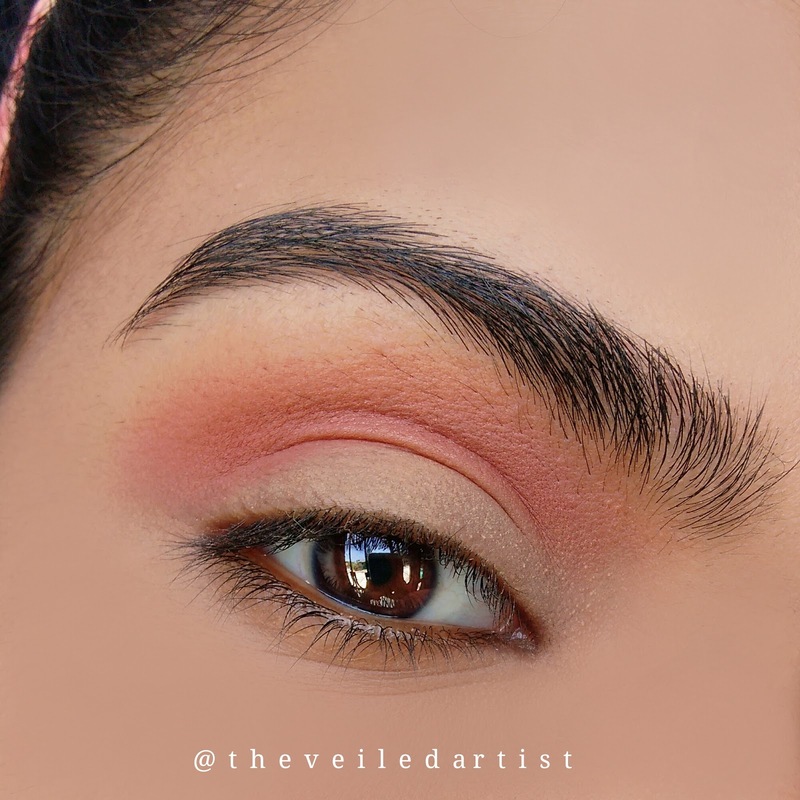 After priming your eyelids, blend the warm matte brown eyeshadow into your crease. This will be our transition shade. 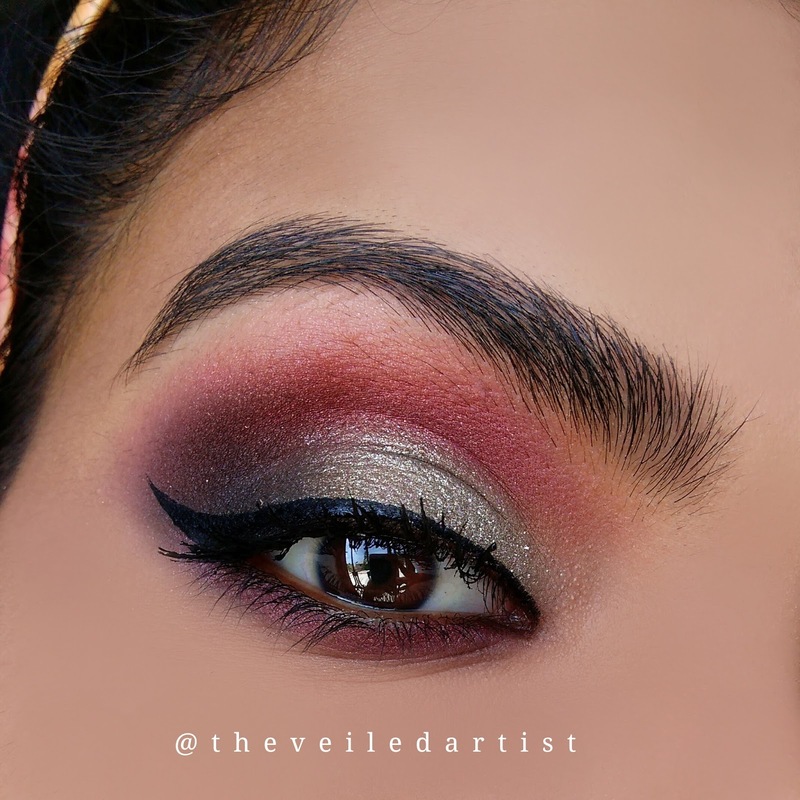 Carefully pat the the shimmery antique gold shadow onto your mobile eyelids. 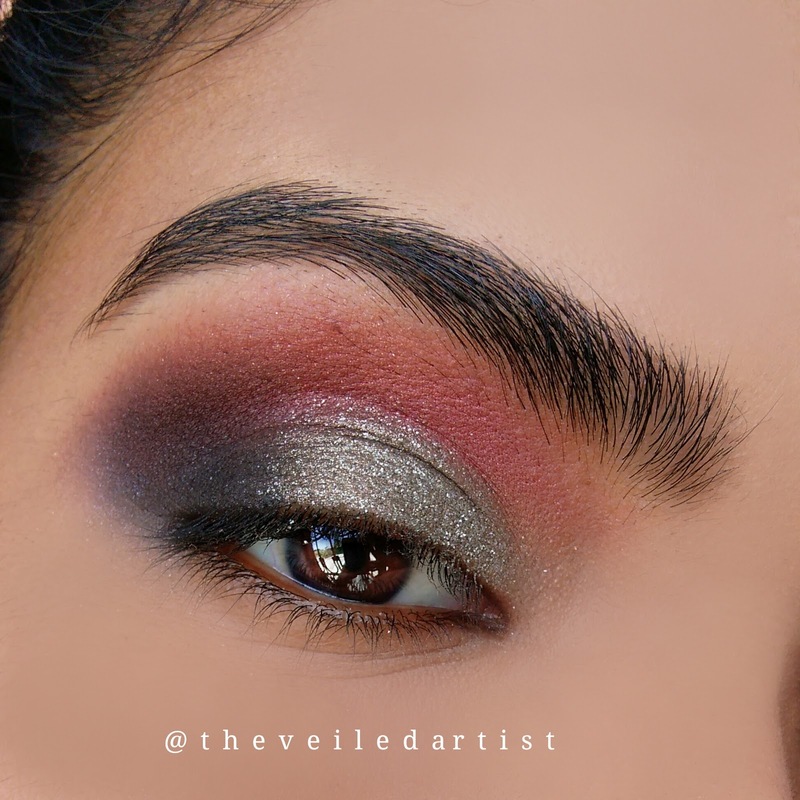 Blend the matte black shadow into the outer v of your eyes. 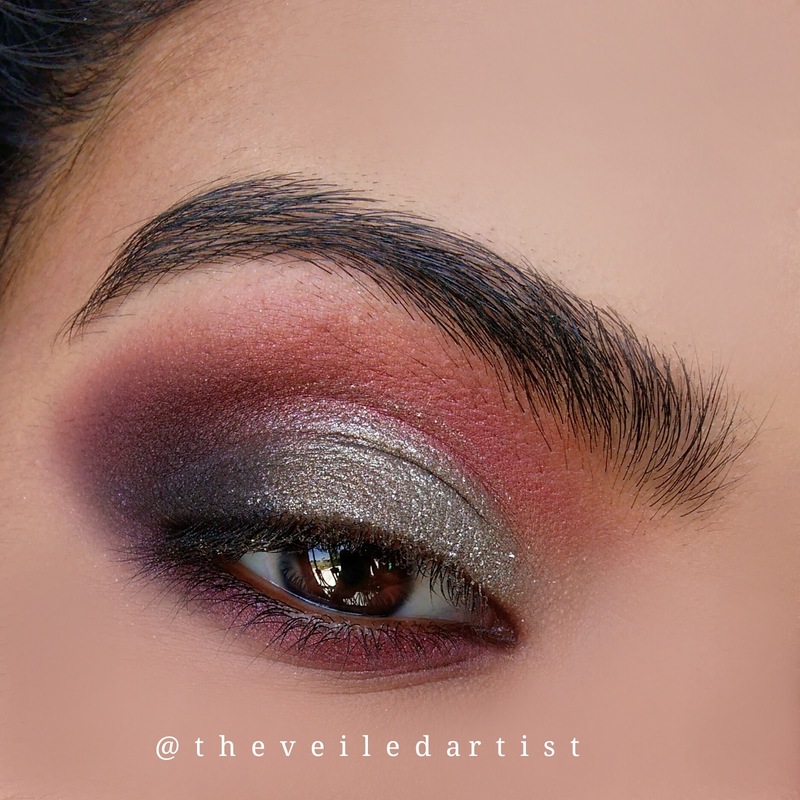 You can use a dark taupe or dark brown shade if you have very light skin or if you're afraid of black eyeshadow and think it's hard to blend. 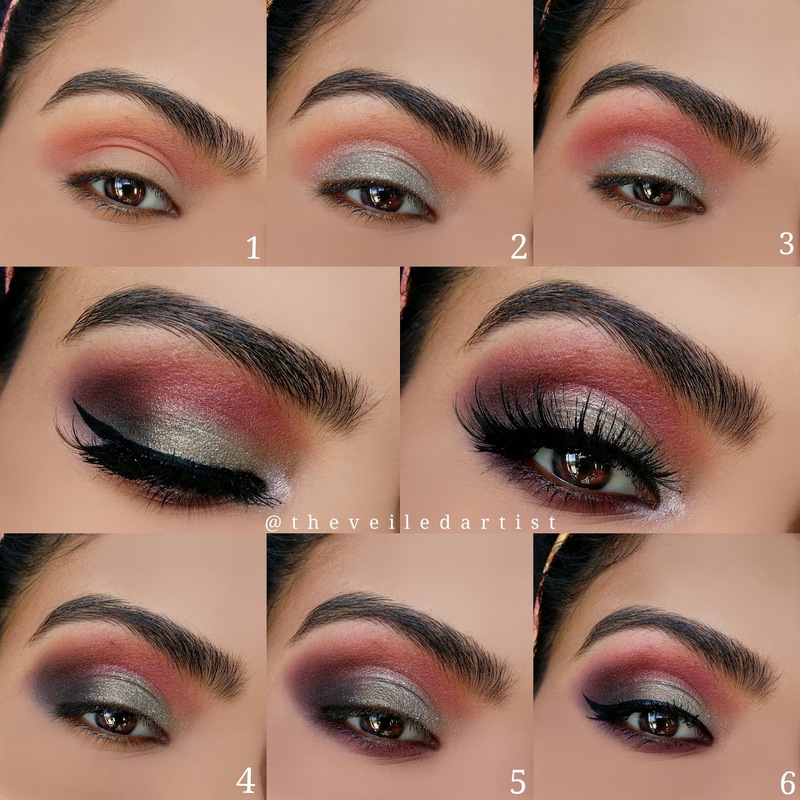 Just make sure to add light layers of eyeshadow to build up the colour, blending and diffusing in between each step. 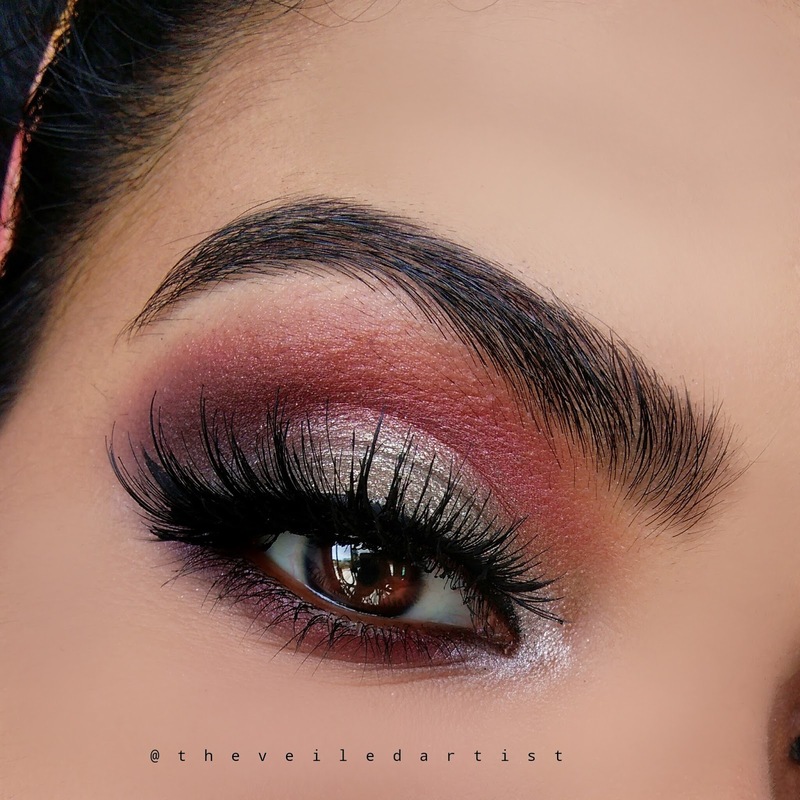 Blend the deep burgundy shade we used previously onto your lower lashline. Do your eyeliner. I prefer winged liner especially when I plan on wearing false lashes. I feel like that's what looks best with any type or shape of lashes. Then curl your lashes and apply mascara. 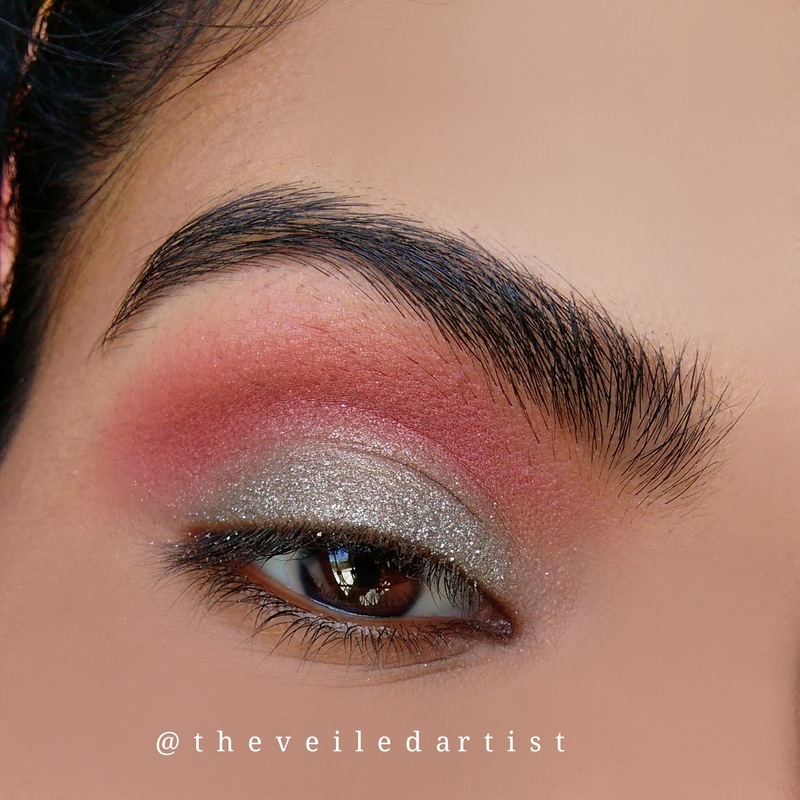 Next, using your fingers, carefully apply the shimmery champagne shade onto the inner corners of your eyes and blend it slightly into the shadows on the eyelid and lower lashline. And final step! POP on those falsies and you're done!! I absolutely love how this turned out! And I'm especially in love with the huda lashes in Jade. I really hope you guys enjoyed this tutorial and recreate it! If you do, and post it on social media, definitely tag me @theveiledartist on instagram, twitter or facebook. I would love to see your work. You can check my last tutorial here. 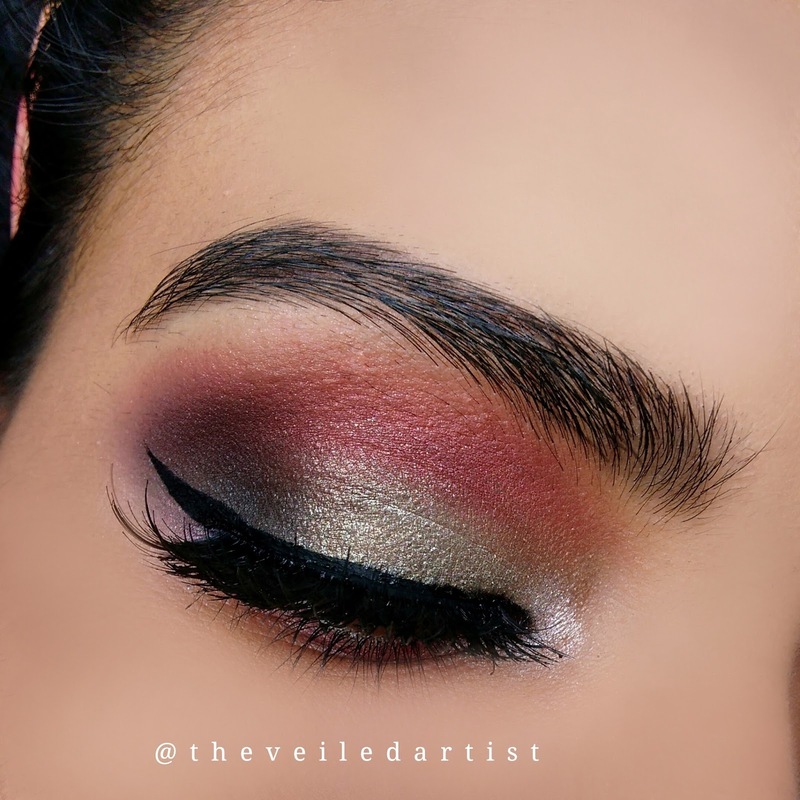 It was a tutorial on Red and Gold Halo Smokey Eyes with Dramatic Arabic winged liner and leave any eyeshadow tutorial suggestions in the comments below! Aaawwww 😍 it's amazing! You're eyes just pop with this look. Nice choice of colors! Yayy thank you soo much! I loved the colors too!! And I feel like those lashes added so much to the look as well! <3 Have a great day!